nice of you to do a b-day dedication :) and I find that you did a wonderful drawing of Sasuke, I find that you did great, if you had colored it in anywhere, I feel that it might actually destroy something or take something away from it. Thankies! I really like the pic! :) Nice Job! Hhah I like Sasuke here, youe draw is really good! Wow! This is one of the best pic. 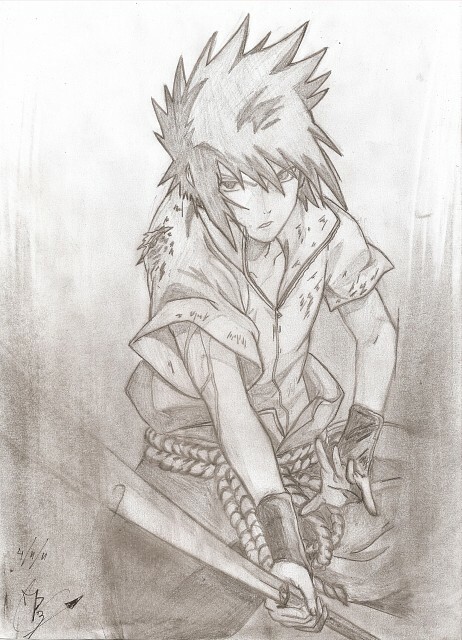 with sasuke that I ever seen and I love this. Look so hot but so cute. Luv this >^o^<! I'm still waiting for your next draw! Keep it up!